A two judge bench of the Supreme Court comprising of Justices S.A.Bobde and J.S.Khehar has held that even if a number of persons are accused of offences under a special enactment such as ‘the Companies Act and as also the IPC’ in respect of the same transaction or facts and even if some could not be tried under the special enactment, it is the special court alone which would have jurisdiction to try all the offences based on the same transaction to avoid multiplicity of proceedings. 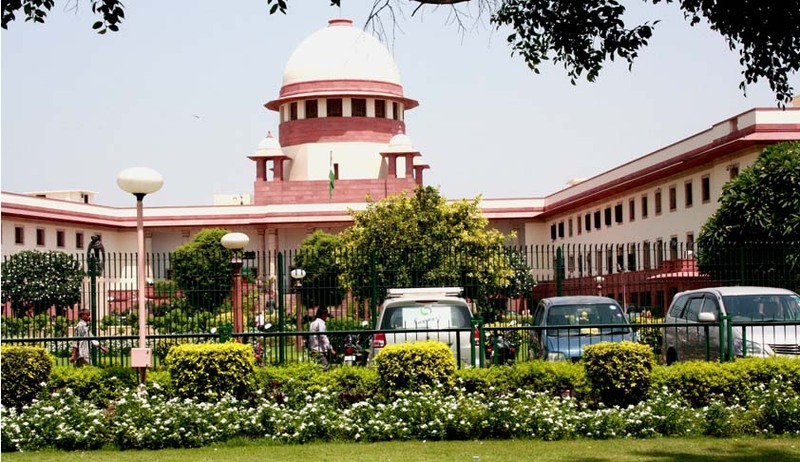 Although the bench did not mention what all special courts are covered but as the object was to introduce a measure to reduce multiplicity of litigation, it will cover all establishments acting as special courts. The bench was hearing a petition filed by the appellant who is the one of the directors of the company other than the accused. The appellant lodged a private complaint in his capacity in respect of the offences allegedly committed under Section 628 of the Companies Act, 1956 and Sections 120B and 420 of the IPC in the Court of Special Judge for Economic Offences at Hyderabad. The accused Nos. 1, 2 and 3 are Directors of the Company. The accused no. 4 is another Company. The accused Nos. 5, 6, 7 & 8 are its Directors. Accused No. 9 is the Manager of a financing agency and is brother-in-law of A5 and A6, and accused No. 10 is a private person, who is said to have been given a fictitious authorization in respect of a Bank account by a resolution of the company. It was alleged that the accused entered into a criminal conspiracy to cheat the complainant and the Company. Further, accused A1 to A3 made false declaration in regard to record maintained under the provisions of the Companies Act, and filed a false declaration purporting to be an extract of Board Resolution of the Company before a bank in order to open a bank account. A series of events alleged in the complaint show how the complainant was induced to invest in the Company by acquiring land for the Company at a cost of Rs. 20 lakhs and make payment for the front end fee which had in collusion with the other accused sanctioned the financial assistance to the Company to the extent of Rs. 11.50 crores subject to the condition that the promoters should invest Rs. 4.98 crores as their contribution towards the total project cost of Rs. 16.48 crores. According to the complainant, accused A9, suggested that the company should appoint A4 Company as a contractor representing that the Directors of the said A4 Company i.e. A5 and A6 in reality his brother-in-law, have wide experience in executing such projects. The complainant believed that representation and allowed those persons and others to become Director as a result of which A1 along with his nominee Directors enjoyed a majority on the Board of the Company. Thereafter, in order to obtain the first installment of loan the accused represented that they have spent an amount of Rs. 1,88,21,484/-, to the accused A4 Company as if the amount was invested from the Company’s account maintained in the bank. On such a representation, A9 released the first installment of loan. The accused again induced A9 to release the second installment of loan of Rs. 2.85 crores without the knowledge of the complainant and without submitting any Board Resolution of the Company. A major amount of the loan was paid to the accused A4 Company, which had not done any substantial work. Though Rs. 145 lakhs from the first installment of loan and Rs. 92 lakhs from the second installment of loan were paid to the A4 Company only a nominal amount of Rs. 30 lakhs was used for work and the rest was swindled. As a part of these transactions the complainant alleged that A1 to A3 had made a false declaration as records in a purported Board Resolution of the Company in order to open a bank account and falsely authorised A10 and thereby made a false declaration amounting to an offence under Section 628 of the Companies Act. Thus, A10 was falsely authorized to operate the bank account. Against the complaint, the accused-namely A4, A5, A6, A9 and A10 approached the High Court under Section 482 Cr.P.C.. The High Court took the view that the Special Judge could not have taken cognizance of the offences under Sections 120B and 420 of the IPC unless he could also try the accused under Section 621 of the Companies Act.